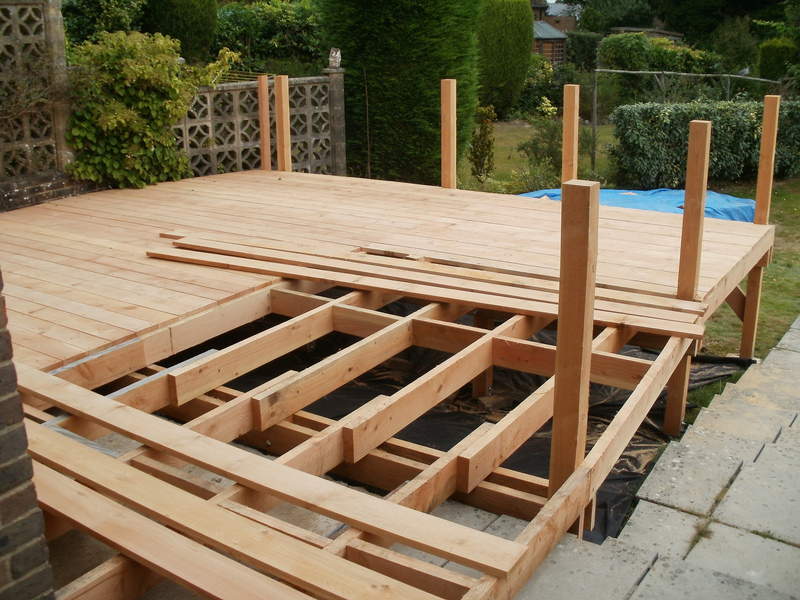 A deck can be a really great addition to a house and perfectly link the house and garden together. 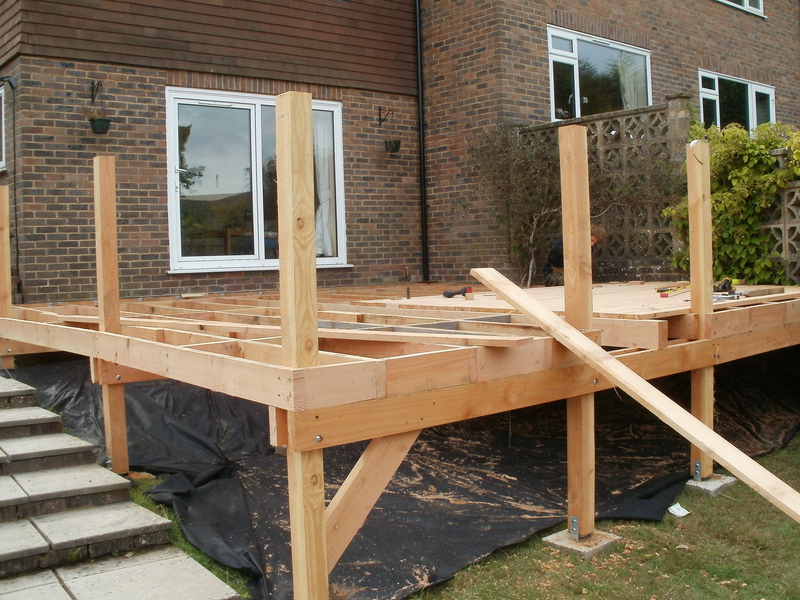 Timbers like Larch and Douglas Fir are ideal for the frame, while Larch, Cedar and Chestnut could all make lovely deck boards. Here’s a short look at the process involved. 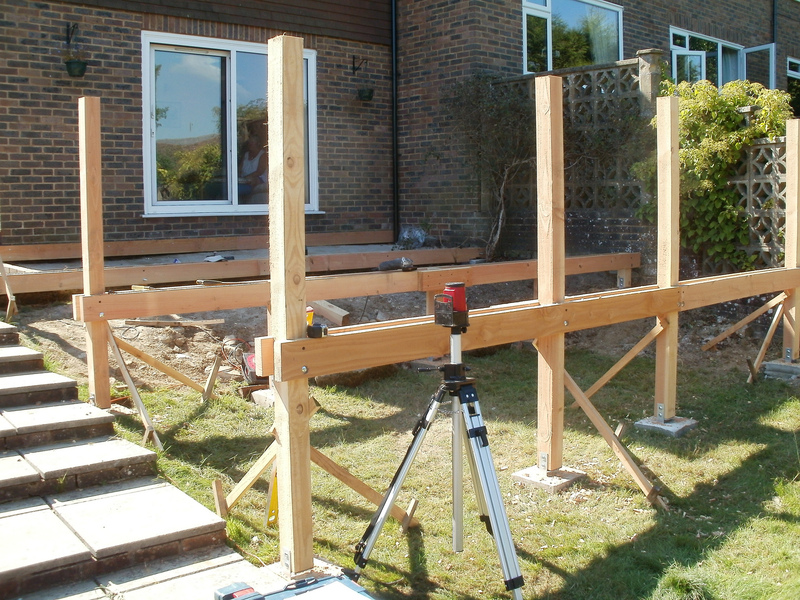 Basic layout of beams and posts, sitting on concreted metal post bases. Side cladding boards going in, note the option of door access to storage space. 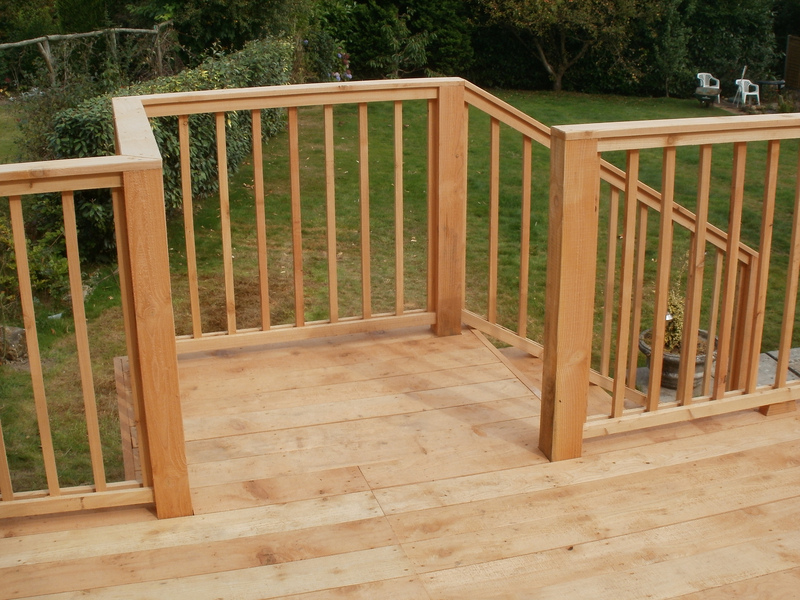 Balustrade, also made using Cedar. A great addition to the house. Contact me and I can give you a quote. Oak is a very durable, very strong, and beautiful hardwood, one of the best, not cheap though. Sweet Chestnut is also very durable, strong, very productive and relatively light hardwood, a similar price to oak and great to use. 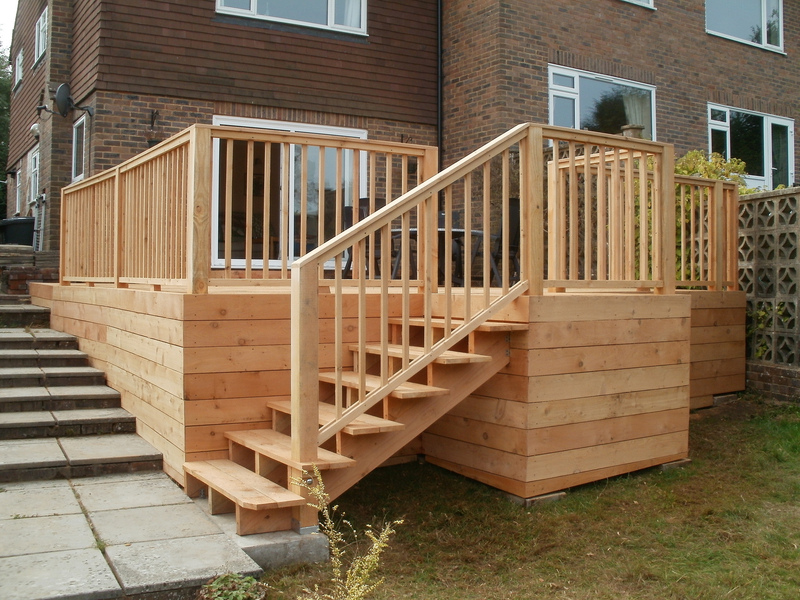 Western Red Cedar is a lovely smelling wood, full of natural oils that make it very durable, ideal for cladding, cost is somewhere between chestnut and larch. 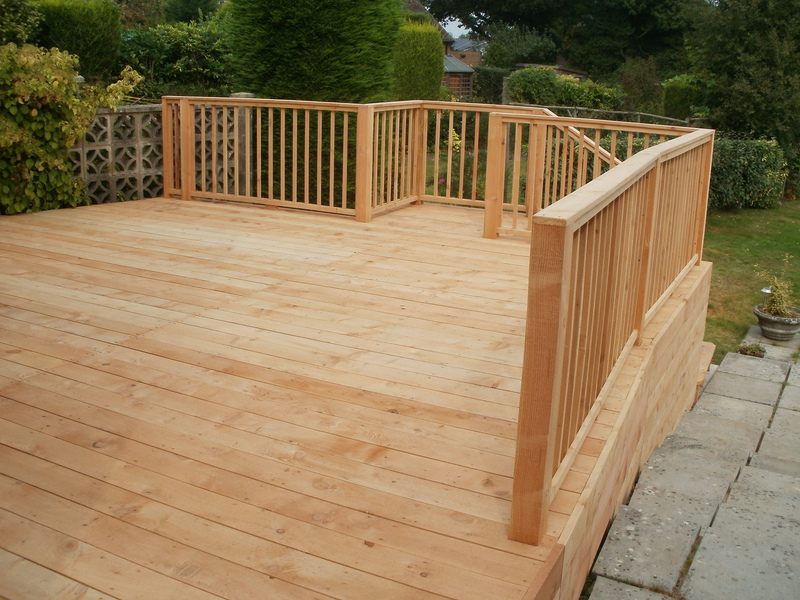 Larch is very resinous, strong softwood, light colour with good durability, a really great value alround timber. 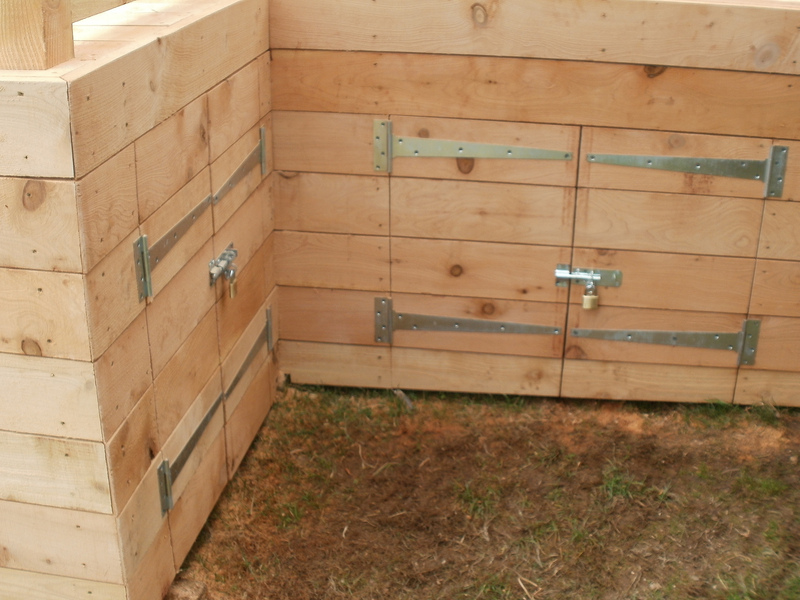 Douglas Fir is good for structural timber and cladding, the least expensive and still durable.